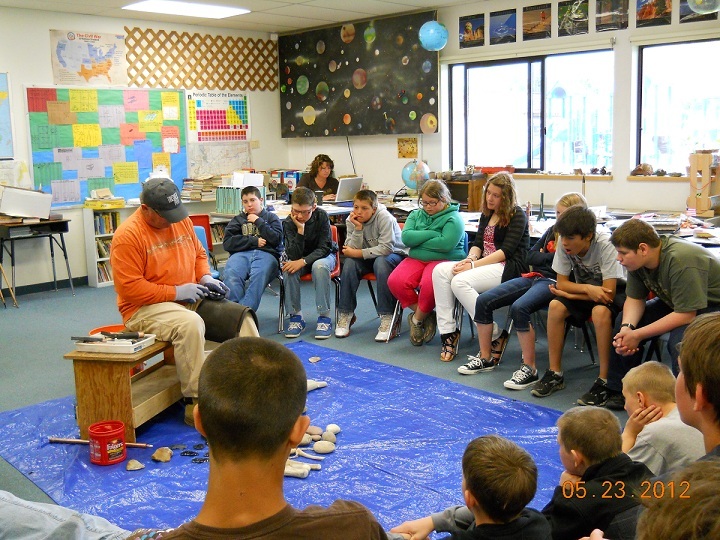 PSK Member Don L. Safford of Livingstom, MT demonstrated flintknapping to the 6th Grade Class Plains Middle School in Plains, Montana.May 23rd, 2012. The students also learned to throw an atlatl. He has been invited back to demonstate for this year's class as well.